Install the certificate on Exchange Server 2016. 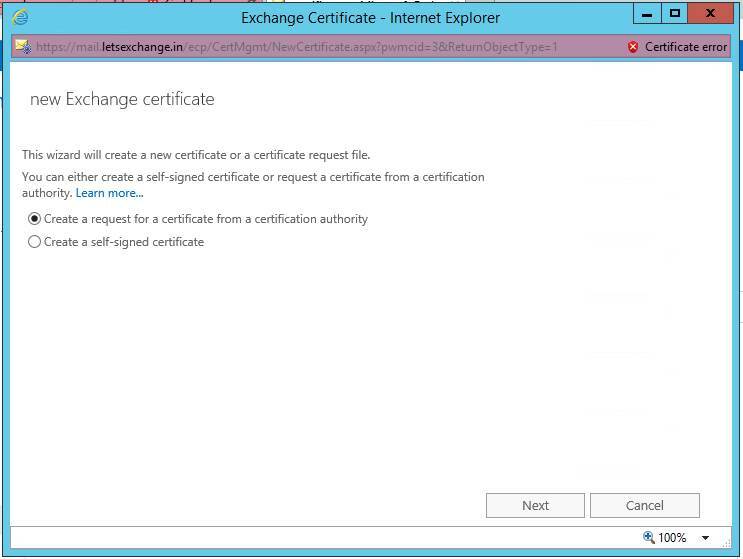 Click on + Plus icon, it will open a Certificate Wizard, Select Create a request for a certificate from a certificate authority. If are request a SAN certificate leave this options blank. 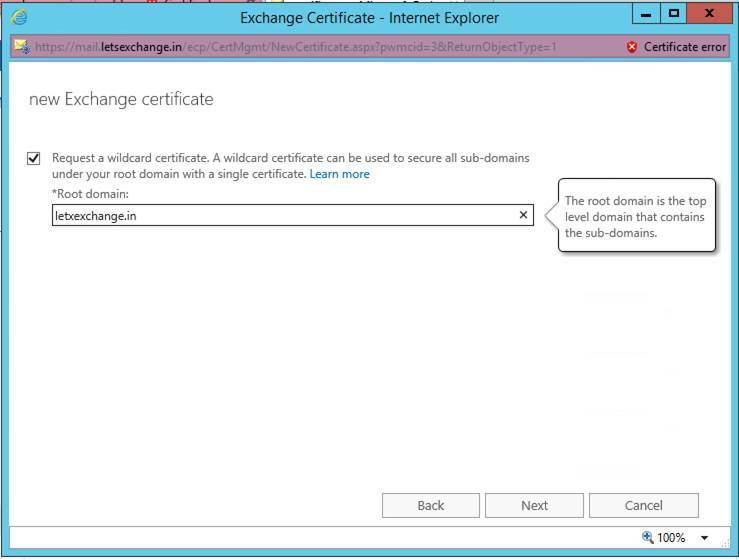 As I am requesting a wildcard certificate I will check the box for now. 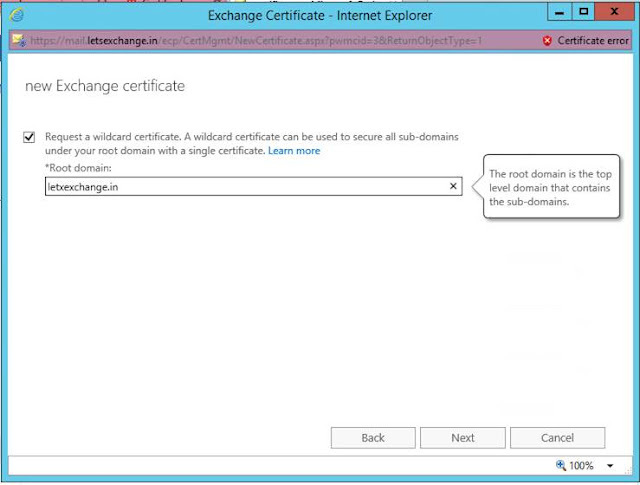 When requesting a wildcard certificate we need to provide the root domain. 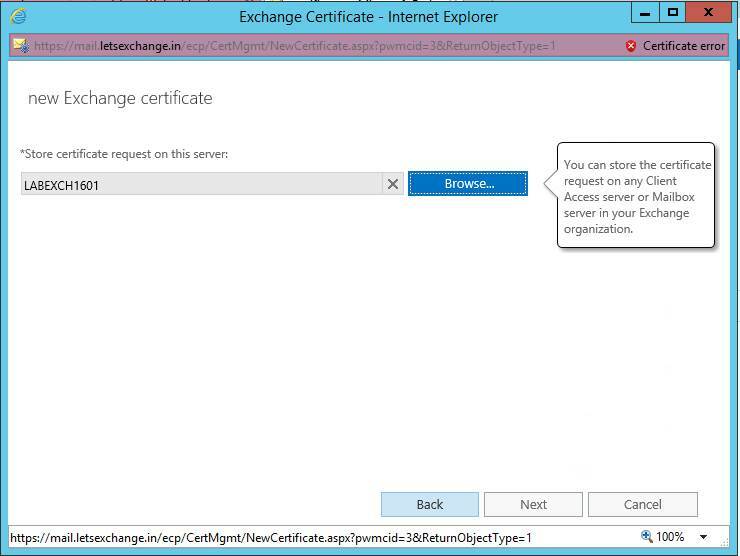 Click on browse and select the server where you wish to store the certificate request. 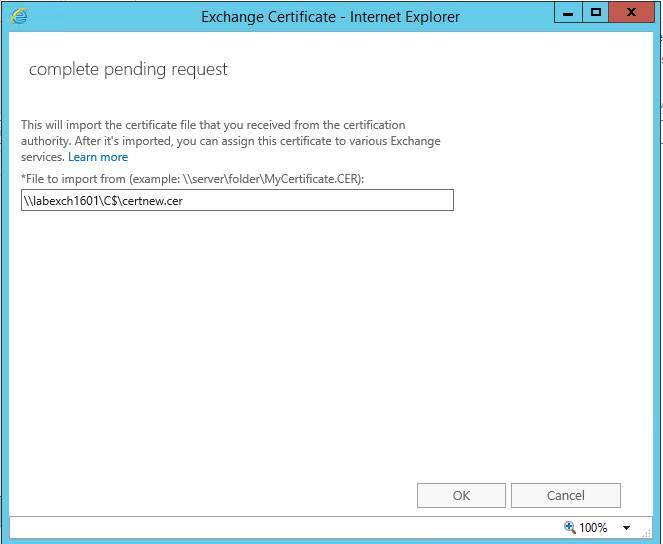 Once the requested is completed you see the Req file in the location. 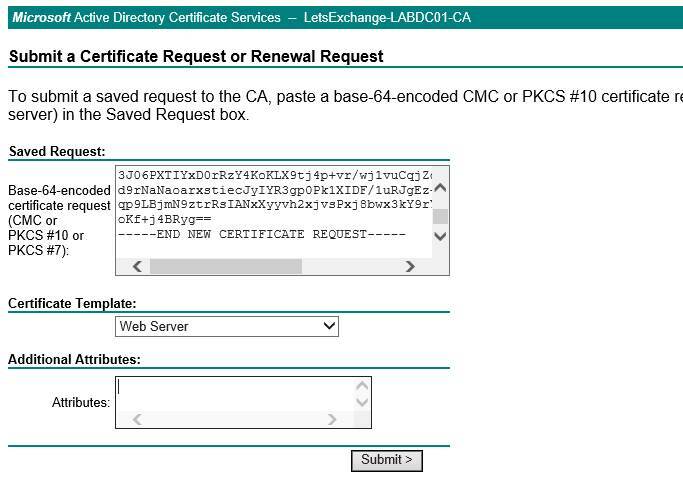 Now open the ADCS link to request a certificate. 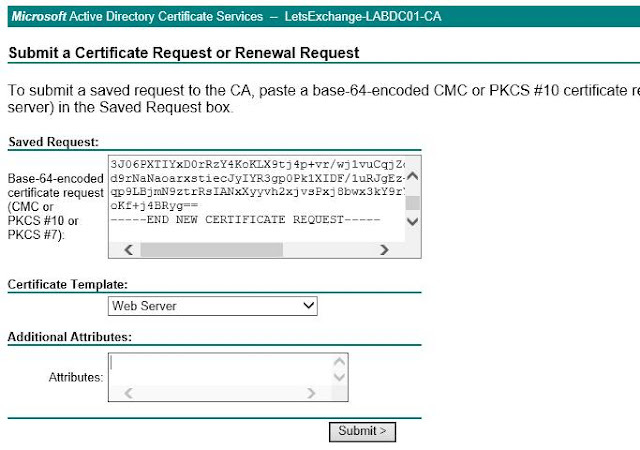 The same request can also be submitted to third-party CA. 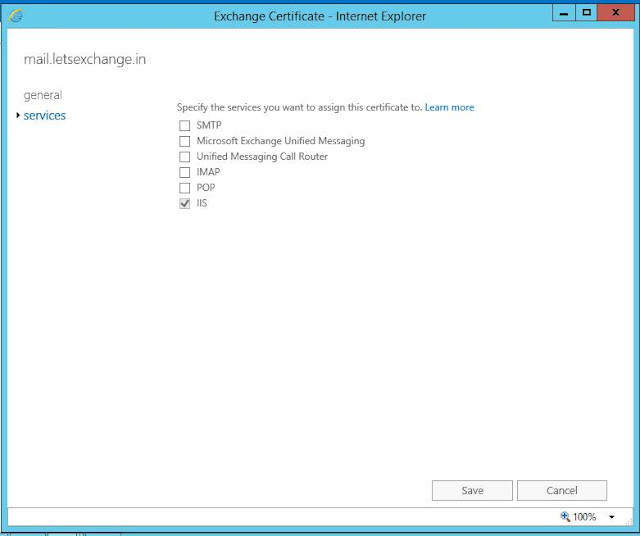 Select Advanced Certificate Request here. 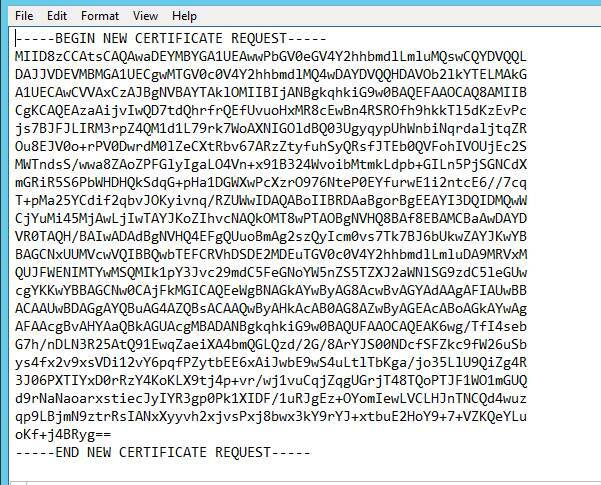 Now open the crq file and copy the request. And paste the same here. 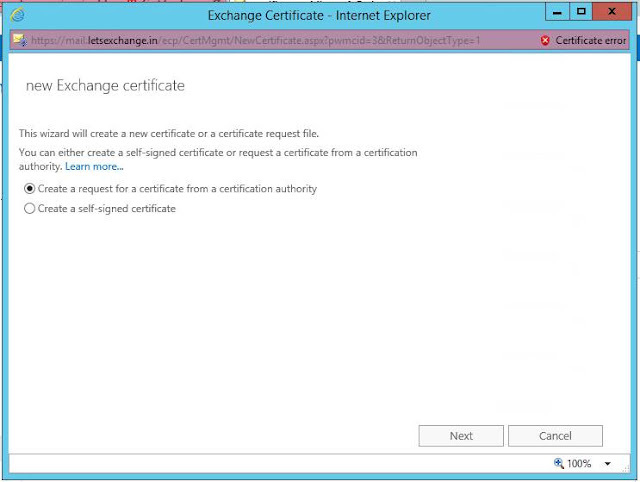 The certificate authority will process the request and will issue a certificate. 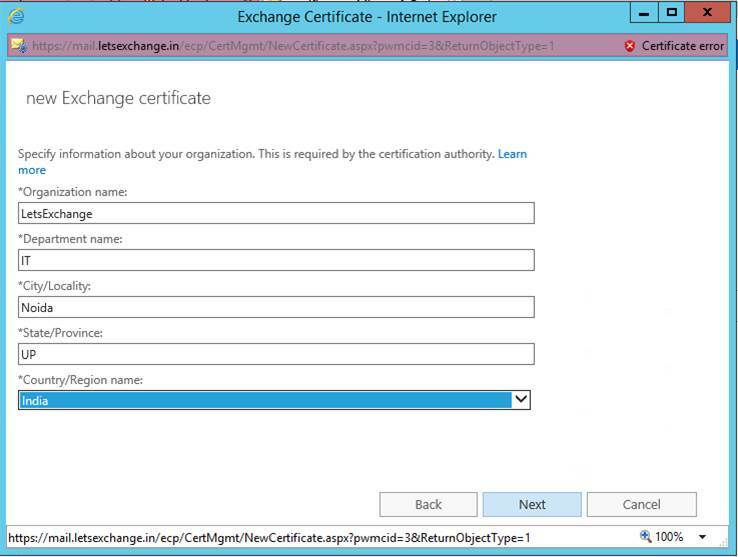 Now when we have a certificate we are ready to complete the request. Let's go back to EAC and click on Complete to continue. 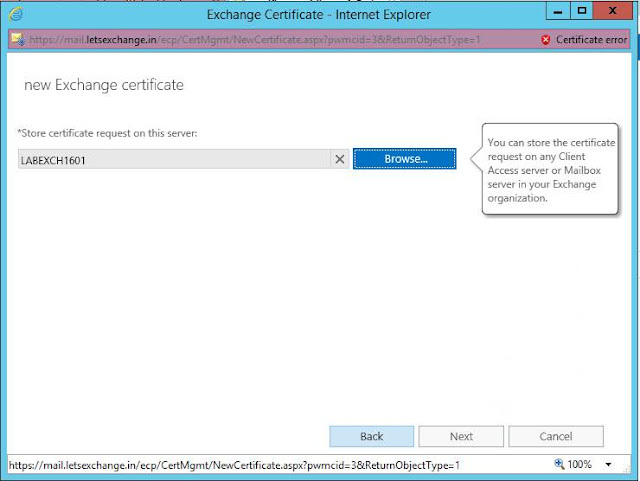 A new window will pop up provide the certificate path and click on OK and the certificate will be installed. Once the cert is installed you will be able to select the Services you wish to apply this certificate too.